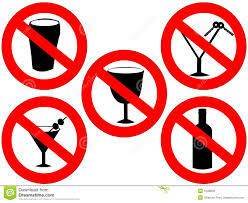 No Alcohol Sales to DUI Drivers? How much is too much when it comes to punishing drivers caught driving under the influence? People who have lost family members or suffered serious injuries in a Los Angeles DUI would probably argue that the current laws don’t do enough to discourage driving under the influence. But people who have lost their licenses or their jobs because of a DUI offense would probably say they were punished too severely. A lawmaker in Oklahoma wants to add another penalty for anyone convicted of the offense in his state. He’s introducing a bill that allows a judge to ban DUI drivers from buying or consuming alcohol for a set period of time. According to the Washington Times, State Senator Patrick Anderson wants convicted DUI drivers to carry a special identification card that would alert alcohol sellers like bartenders and liquor store clerks to the restriction. Any seller that didn’t comply could face fines up to $1,000 and up to a year in prison. In New Mexico, State Rep. Brian Egolf has introduced a similar bill for the second time. It would ban the sale of alcohol to anyone required to use an ignition interlock system after a DUI conviction. Meanwhile, in Tennessee, the state Senate defeated a proposed bill to ban alcohol sales to people who have had more than three or four DUI convictions.